Home is where the heart is. Home is a place where your children can ride their bikes until dusk, where you can walk your dog and people still smile and wave. Home is where you can enjoy family dinners with your grandkids in a neighborhood where you can get lost in the luxury of nature's splendor. You can experience this and more in Shawnee's premiere wooded hilltop community Ridgestone Meadows, a place to call home. The Carmel by J.S. Robinson Homes. 4 beds, 3 Full baths, 3,090 sqft. Located on a beautiful wooded walk-out lot. 4 beds, 4 Full/1 Half baths, 3,619 sqft. 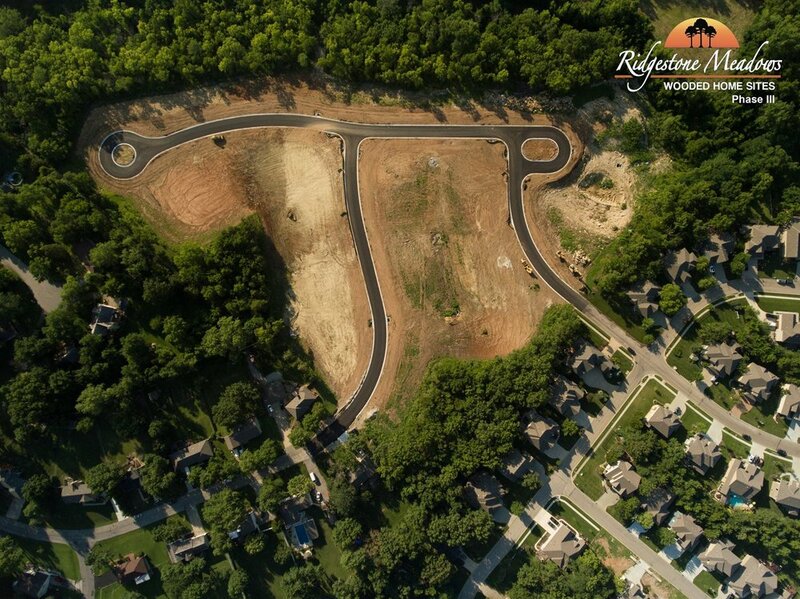 The Larsen EX by Rodrock Homes in the final phase of Ridgestone Meadows. Fantastic family home.